Abiding Moments Photography: Hello Spring! Wanna Play in the Rain? Hello Spring! Wanna Play in the Rain? As Spring FINALLY makes her debut, I decided to polish off this set from last year in honor of the (hopeful) end to the winter blues. 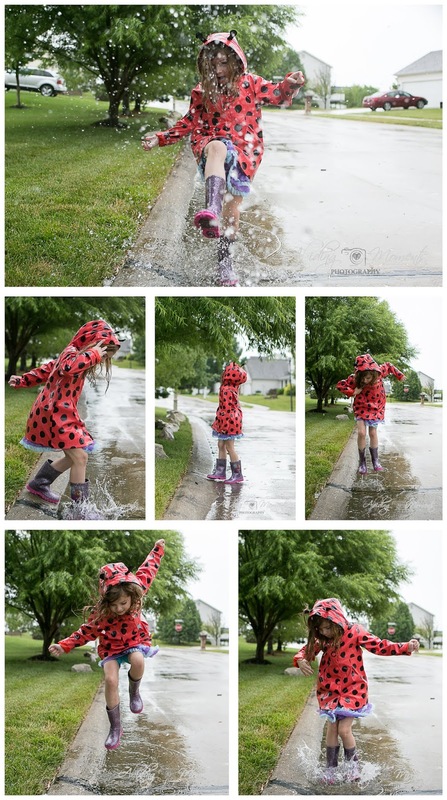 I have done pictures of my daughter playing in the rain every year since she was little and I have loved them all. This set got me thinking about how playing in the rain for me, unlike my girl who runs out to embrace it, used to be a struggle. Of course, there was that ONE time in college that a dear friend convinced me to play in the rain and I got DRENCHED (and I even have the picture to prove it). But typically, I had a hard time feeling free in the rain; it was heavy and cold and I just didn't love it. And then I met my husband. He got out in the rain with our son when he was so little and they had the best time ... and I saw all I was missing and decided to join in. My girl obviously has no problem. She loves the running and splashing and jumping. She giggles and smiles and seems to never tire of it. 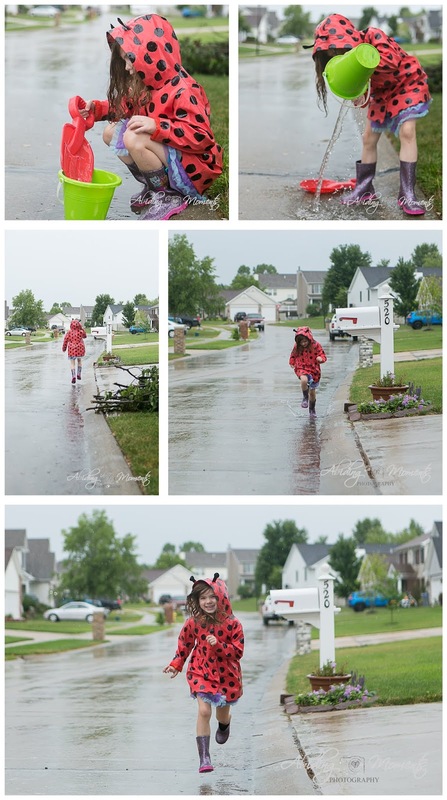 When it rains, with a big grin on her face, she says, "Momma, can we go play in the rain?!" And while I certainly don't have my daughter's excitement and joy about it, I do love to watch her and I love that I am invited to be a part of her joy. And yes, to even get drenched from our head to our toes. 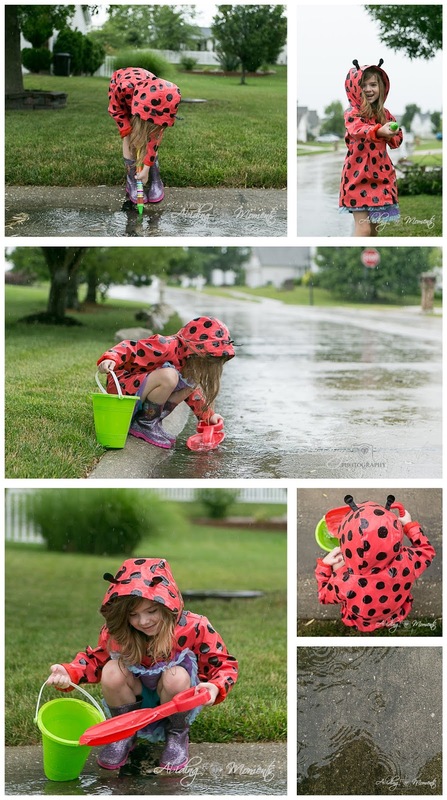 I hope you have someone in your life that gets excited when they see the rain drops coming and invites you to let go and play with them in the rain. And if you don't, then let me be that person. 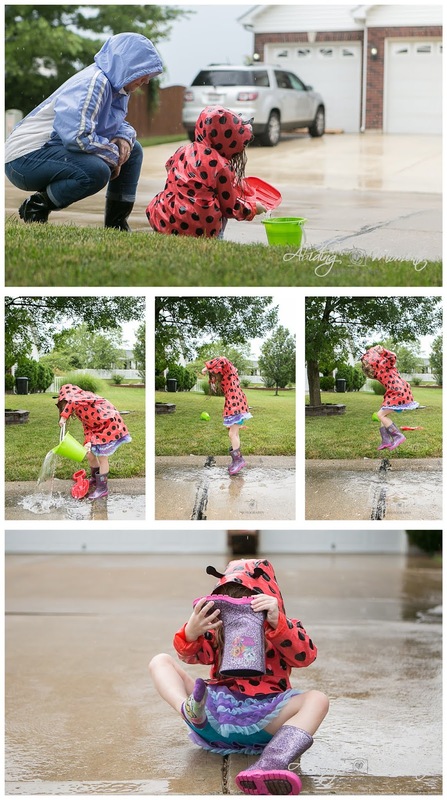 The next time it rains, think of me and my girl, and grab your rain boots.